I shot this before dawn on the morning of December 23, 2014. 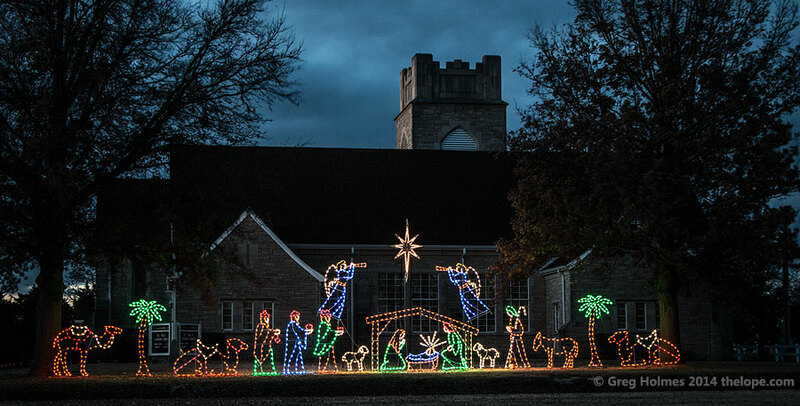 The church displays the same scene this year (2015). A blog about travel, architecture, nature and anything cool we run across.